Happy Weekend Friends! I hope you’ve had a wonderful week. The kiddos have been on Spring Break and we’ve had lots of family fun. I did manage to squeeze in one project though. I’d been eyeing some cute dish towels at Target for the past few weeks. 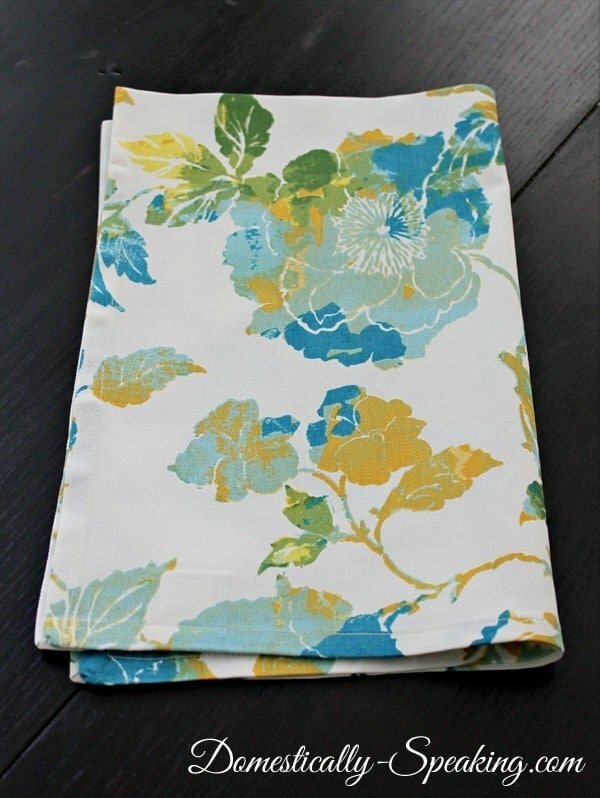 I loved the colors and the print, but I didn’t want them as dish towels… I wanted to make some cute, new spring pillows with them. So when I saw them last week on clearance for only $4.13 for 2 towels, I grabbed up 2 sets. 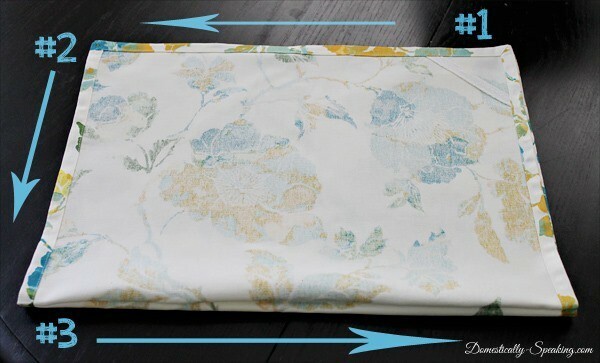 The sets came with this pretty floral print and an abstract blue tones towel. and sewed 3 of the four sides with the sewing machine. and hand stitched up the 4th side. Folks, I am not a great seamstress… I mean the machine gets pulled out only like 3-4 times a year and if I was able to create these cuties you can too! Thanks for stopping by friends & have a fabulous weekend! I have made pillows out of place-mats before because. Placemat is usually made of a much thicker material and a little easier to sew by hand, This makes me to sew a few easy pillows again. Pillows make everything else in the day so much better. 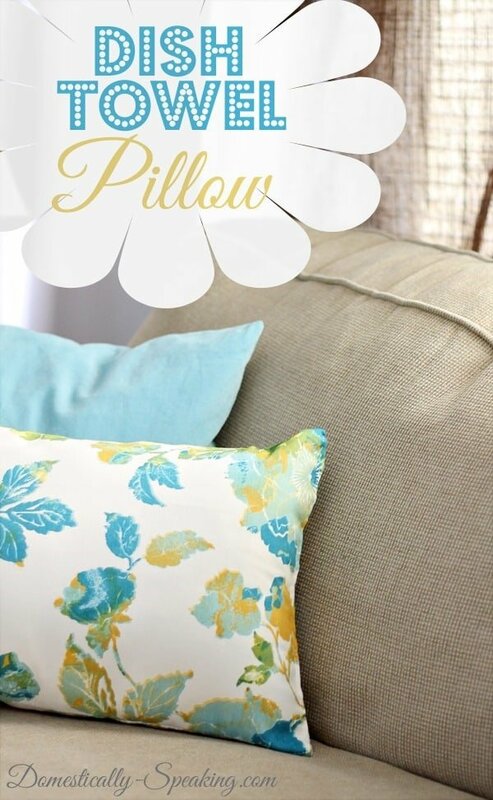 there almost isn’t anything better than having a bunch of pillows to brighten our day. Almost. This is a very smart idea! I have been looking for cheap fabric and this is easier. Thanks for the tip! You have made some beautiful and wonderfully colorful pillow covers here, Maryann. Looks like Spring to me! I love your pillow so much Maryann! Pretty colors! What a great pillow! I just picked up some napkins from Target that are going to become pillows! Great look and great colors. 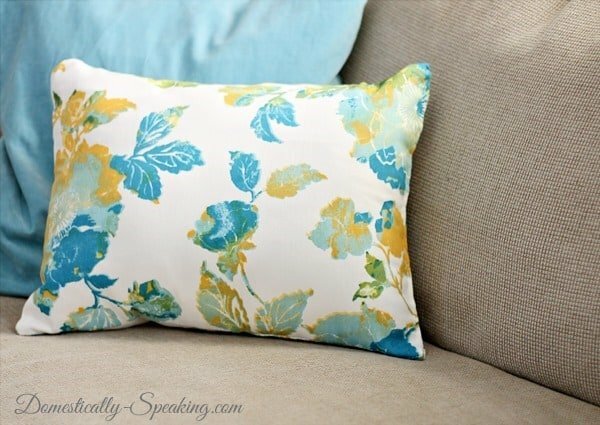 I would love it if you would stop by and link this pillow up to the In and Out of the Kitchen party! LOL I got the SAME towels! Will definitely be doing this! Love these towels, so Beautiful.